Today I am going to talk about the Segment routing. Many of you heard about Segment routing and many of you are experts on Segment routing in Service provider side. The first question which came into mind is what is this Segment Routing? and where we are using this? What are the different groups of IGP Segments? Prefix segments: Prefix segments steer packets along the shortest path to the destination, using all available Equal Cost Multi-Path (ECMP) paths. Adjacency segments: Adjacency segments steer packets onto a specific link to a neighbor. 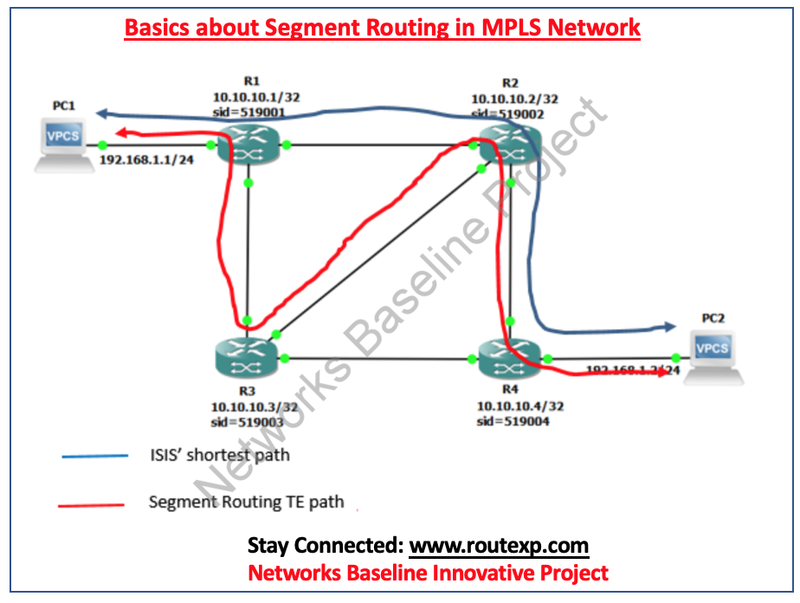 What are the advantages of the Segment Routing? We are looking the advantages on the basis of Operational, Scalability and Configuration standpoint, we have the following advantages. From an operational standpoint, it streamlines the operation of an MPLS network by making the label value constant across the core of the network. From a scale and ease standpoint, segment routing is especially powerful in the age of SDN with application requirements programming the network behaviour and where traffic differentiation and engineering are done at a finer granularity. From a configuration standpoint, the number of lines required to enable segment routing is minimum, usually three lines of configuration. Can we have a little detail about Segment Routing? It incorporates with the rich multi-service capabilities of MPLS such as Layer 3 VPN (L3VPN), Virtual Private Wire Service (VPWS) and Virtual Private LAN Service (VPLS) / Easy VPN (E-VPN). It’s an establishment for application engineered routing because it prepares the networks for new business models where applications can direct network behaviour. A segment can have a local semantic to a segment-routing node or global within a segment-routing network. Segment routing allows you to enforce a flow through any topological path and service chain while maintaining per-flow state only at the ingress node to the segment-routing network. To be aligned with modern IP networks, segment routing supports equal-cost multipath (ECMP) by design, and the forwarding within a segment-routing network uses all possible paths, when desired.